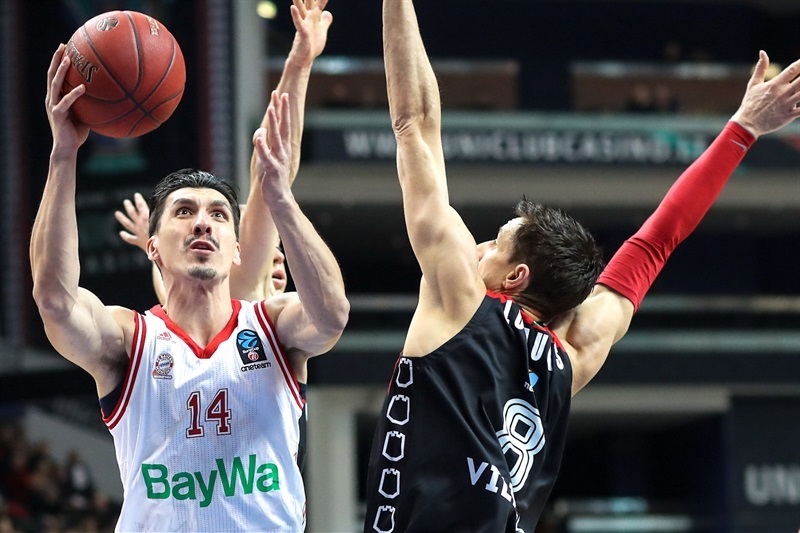 FC Bayern Munich rounded out a strong performance in 7DAYS EuroCup Top 16 Group F by topping Lietuvos Rytas Vilnius 85-87 in the Lithuanian capital on Wednesday. 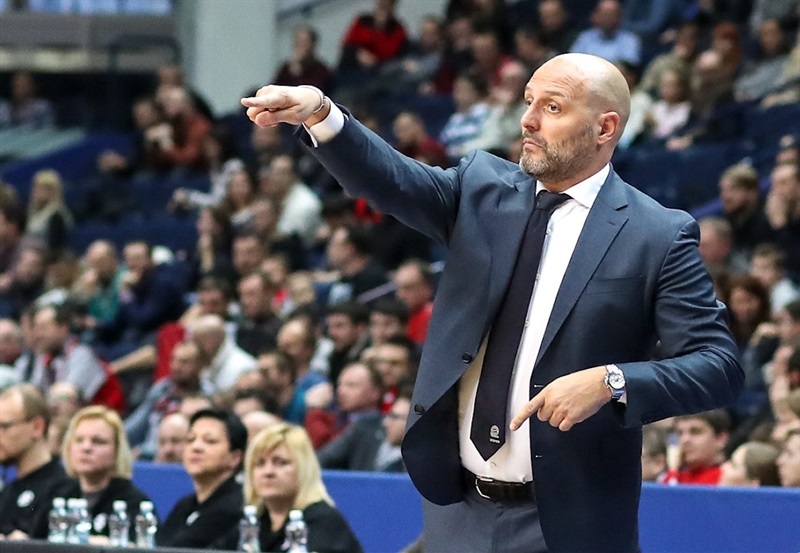 Bayern, which had locked up first place before the game, finished Group F with a 5-1 record and will have the home-court advantage in its best-of-three quarterfinal playoffs series against UNICS Kazan. 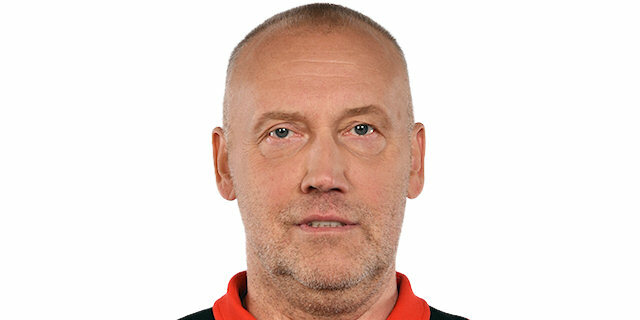 Rytas had lost all chances to qualify last week and placed fourth in the group at 1-5. 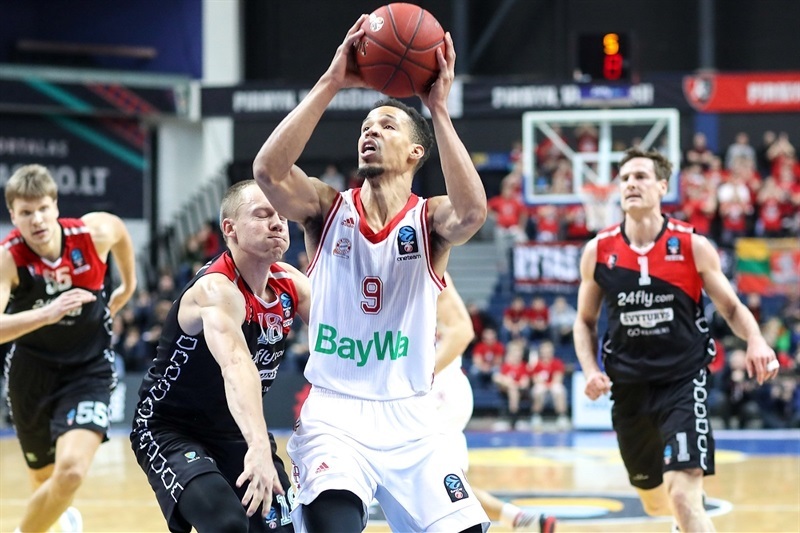 Jared Cunningham led the winners with 21 points, Devin Booker added 18, Maik Zirbes scored 14 and Reggie Redding and Danilo Barthel each had 11 for Bayern. 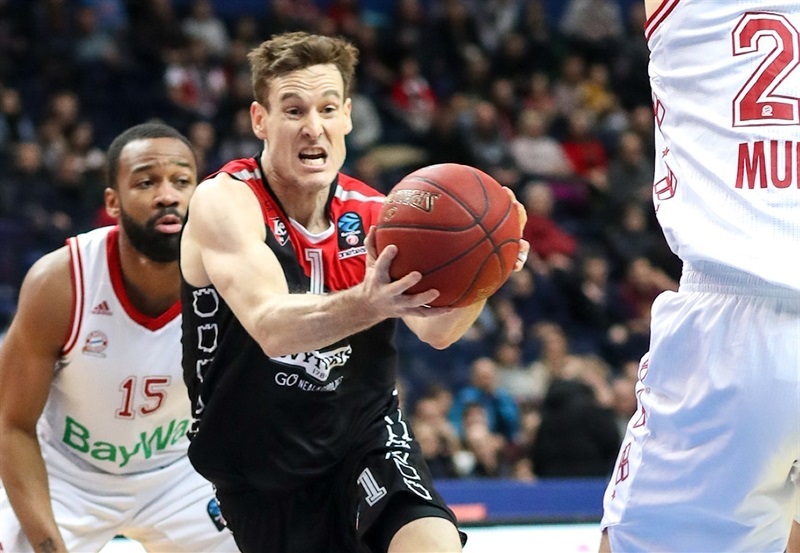 Chris Kramer led Rytas with 18 points and 10 assists, Rokas Giedraitis and Travis Peterson each netted 15 points and Loukas Mavrokefalidis had 11 for the hosts. 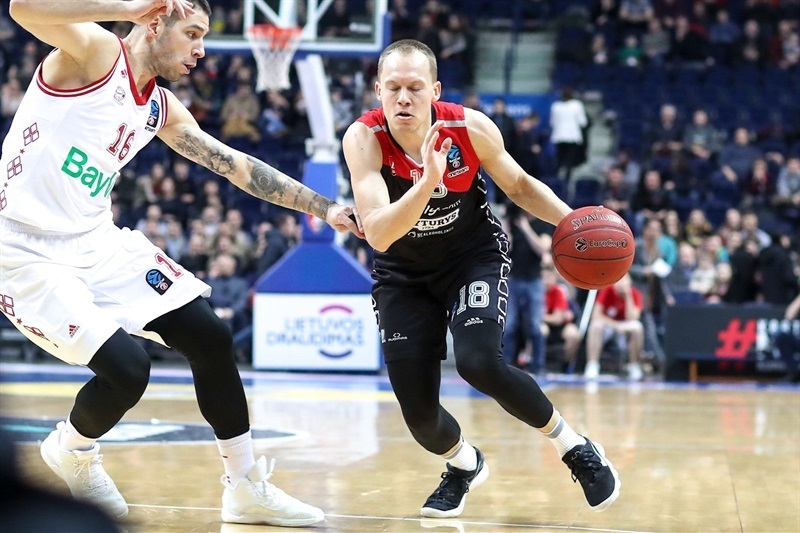 Bayern led 38-43 at halftime and remained ahead for most of the third quarter but Arturas Jomantas and Giedraitis fueled a 9-0 run that helped Rytas tie the game at 59-59 after 30 minutes. 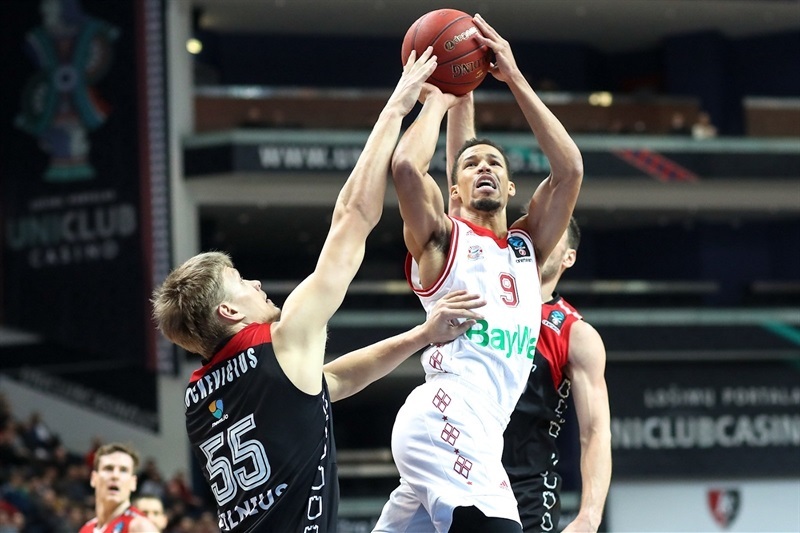 It all came down to the final minutes; Cunningham hit free throws for an 82-85 Bayern lead with 16.8 seconds to go and Booker came up with a critical block before more foul shots by Cunningham sealed the outcome. Martynas Echodas got Rytas going with an alley-oop layup. Kramer struck from downtown and Ben Madgen followed a driving layup with a jumper to give Rytas an 11-7 lead. Redding hit a floater and Booker added a dunk, igniting a 1-9 run that Zirbes capped with a two-handed slam for a 12-16 Bayern edge. Giedriatis followed a floater with a triple and Mindaugas Girdziunas added a jumper that restored a 19-16 Rytas lead after 10 minutes. 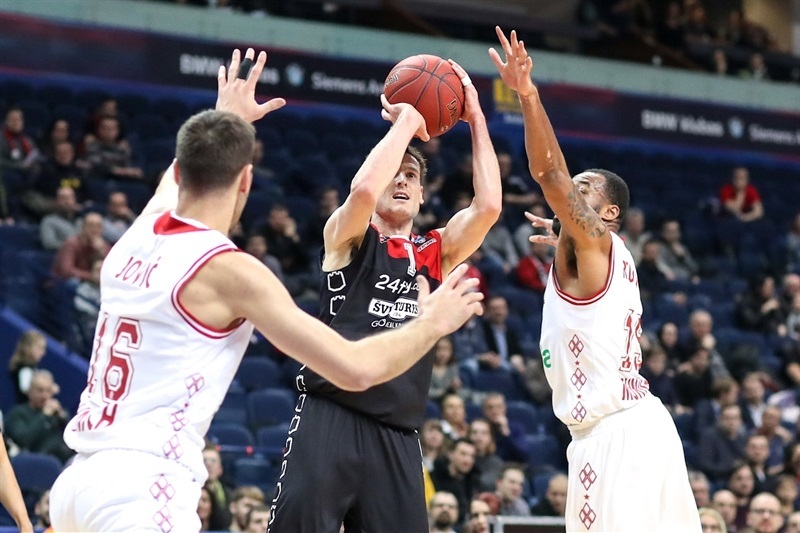 Peterson capped a 12-0 Rytas run with a three-pointer and a driving layup. Zirbes rescued Bayern with a jumper and a couple of layups, but Giedraitis answered with a floater and a triple for a 29-22 score. Booker and Cunningham stepped up for Bayern, but consecutive layups by Madgen and Echodas kept Rytas in charge, 35-32. Cunningham followed a layup with a dunk in a 0-9 run, which Booker capped with a layup-plus-foul for a 35-41 lead. A three-pointer by Madgen and a dunk by Booker fixed the halftime score at 38-43. Kramer and Redding each struck from downtown after the break and a jump hook by Barthel made it a 7-point game. Girdziunas downed a triple and Kramer added a layup, but Booker, Redding and Cunningham kept Bayern in control at 46-55. Jomantas and Giedraitis combined for 7 points in a 9-0 run that tied the game at 57-57. Zirbes hit a jump hook, which Giedriatis erased with a driving layup for a 59-59 tie after 30 minutes. Zirbes followed a jumper with free throws to start a 0-9 run that Barthel capped with a jumper for a 59-68 Bayern lead. 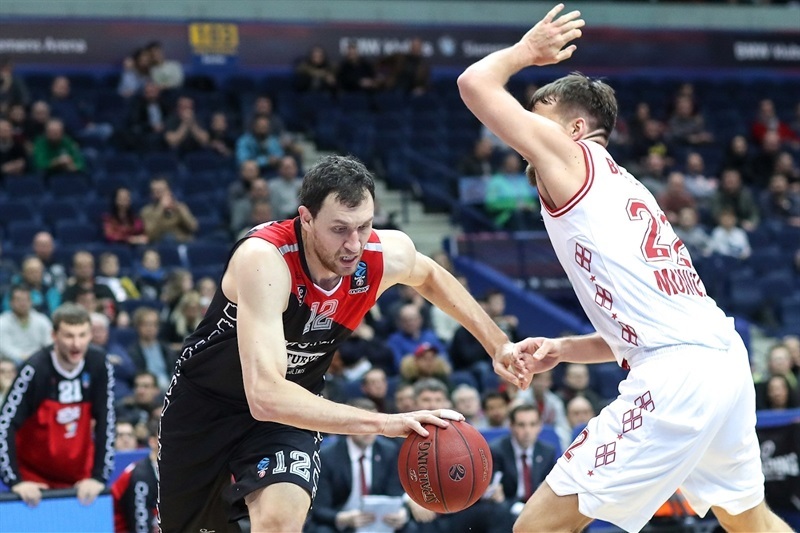 Mavrokefalidis and Peterson each scored down low and added a three-pointer apiece to give Rytas hope at 69-73, with over four minutes to go. Peterson insisted from beyond the arc and added a jump hook, which Kramer followed with an off-balance basket to make it78-79. Booker dunked again and Mavrokefalidis, Barthel, Kramer and Cunningham hit free throws for an 82-85 score with 16.8 seconds to go. Mavrokefalidis split free throws, but a block by Booker and foul shots by Cunningham allowed Bayern to seal the win. "I want to congratulate Bayern Munich on a great game. Good luck to them in the future. Today they were a little bit stronger. The game was not bad, but a lot of small things made them winners." "The key is that we wanted to win, we played to win. Nevertheless, this game did not count a lot, but we just came out and played to win. They were really ready, played without pressure and with speed. Once they put speed on the floor, they put us in trouble, but nevertheless, we had a good response. I am happy for the win. We can play much better and rested some guys, but it's okay. It is always important to win. We don't play just to play. We play to win."